Got questions. What are the current objectives for the development of Assault right now? Is the team working on assault AI for the bots? Also, it seems that there may be a use for the Flag Run mechanics for future Assault maps. For example, the 'flag' could be replace with an object that could be used to blow a door open to reach the next objective or something like that. Just throwing potential ideas here. - I plan to do a major release by end of this weekend (delayed by 1 week!). The major release will complete UI fixes (e.g. ensure correct objective messages) and HUD improvements (I'm going for a bit more of a minimalistic HUD with a future option to turn info up for the beginner or info down for the expert). In addition, I want to try to open up the map during warmup (right now all the doors etc. are closed because objectives are disabled) and also put in code to handle team changes (e.g. if you move to defense you still see guidelines and some attacker messages). - After this major release is done, I want to dedicate a week to sitting with BlooDKinG (map hero #1) and tidy up some of the text in the maps and also to try to fix some map-specific bugs (e.g. Bridge). This friend of mine makes insanely good maps but his English can be on the kooky side sometimes! We will also be sourcing music for those maps that don't really have any yet. - Related to the question of bots - I REALLY want to add bot support to Assault. But right now Epic has provided no ability to customise bot AI or code (and I don't blame them for not focusing on this yet, this would be complex for them to implement). In the past I've tried some "sneaky" ways to get bots moving around (e.g. adding an invisible pickup with importance of "99999999999" right next to a touch objective) but nothing seems to work. The bots also seem to have a problem with doors and walls that blow up - they don't seem to adapt their pathing to understand new routes. Right now if you even try to make a custom bot class in the editor it just melts and crashes. I will try again at some stage but I really need Epic's support on this. - In addition to all the above, the admin team (love you guys!) will continue to foster the Assault community. I'm continually working on the site (ut4assault.com) and we want to get a 5v5 league going but we need player mass. This is where you guys can help - if we can get a small-but-sustainable Assault community playing every so often it would make my life a lot easier. We already had one cup with cash rewards, we will launch another cup soon. 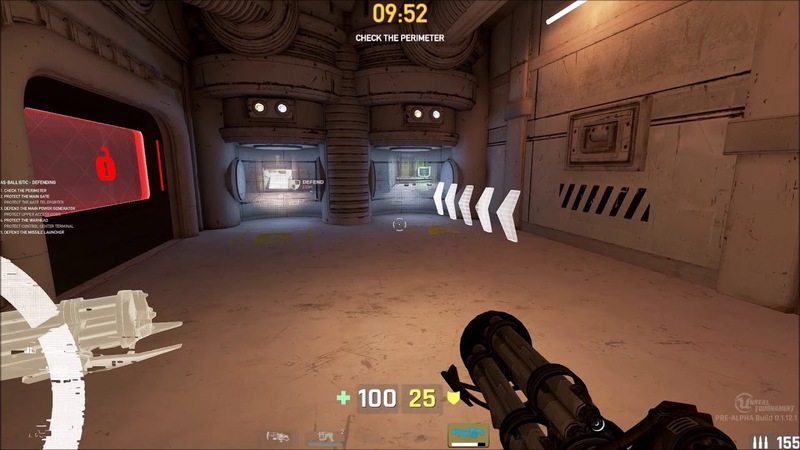 Maybe instagib. - I guess at this point I should also mention about Epic themselves. I don't want to sound like a negative-nancy (because I'd like to think I'm usually a positive kinda guy!) but since I came back from the hiatus, the game is much more stable but Epic seem to have gone and hidden themselves in a corner. In order to understand the gaps in my thinking compared to Epic's, or to discuss whether it can be added as a game mode officially, or to fix more of the BP issues I have (I have a reasonable number of workarounds in the code I want to get rid of) I need their support. I don't care about being well-known or whatever - I have two goals. First of all to make the Assault community happy and have fun, and secondly to help Epic with the development of their game. It is difficult to do either with a communication wall. Last edited by Urgamanix; 02-27-2017, 09:47 PM. Double ouch with the communication wall. Personally I think it's a bit early for vehicles. Turrets however would be welcome. ASSAULT v. 4.0 released and now open to the public. I was able to find a new post for how to create vehicles for unreal engine 4 by none other than [MENTION=6564]PayBack[/MENTION]. This post goes over specifically tank design. With that in mind, perhaps a new assault map should involve trenches sense tanks were originally invented to cross them. The pre-match run-throughs are an absolute must along with fixing the other objective types. I'm an old UT99 player from Assault League. I'm very interested by this UT4. Please, where can I find the Assault Maps ? All the links I've found look dead. We are updating the Assault mod right now and you are lucky, we wanna try a first testrun this weekend. Feel free to join and playtest with us. >> Pre-release for our followers NOW. We are proud to let you know, that the work for Assault v. 5.0 has now finished. In this version there are a lot of new features, changes and bug fixes. This has been a lot of work. >> Check the video below for an insight of the new version and what you can expect. Note: the welcome message won't disappear offline. But online it's all fine. Hey guys, quick check in from me! We've just had a showmatch and now regularly have multiple 6v6 / 7v7 games on our various HUBs. Next plan for me is to open the Assault league and prepare a new version with almost all of the remaining todos complete, including implementing the rally system for new spawns (instead of suiciding), replays and bots (if possible). As always stay tuned and thank you all for the donations and support! - Objectives should no longer show as "complete" on the left even though they are no longer completed. In addition our maps have had some amazing improvements thanks to BloodK1nG, and we are preparing for our League and 2v2 cup launches with fatJeff, Nira, iBamzz and our other contributors! Thanks as always to everyone helping us with UT4 Assault and supporting us! If you enjoy the Assault mod and would like to donate, my donation link is https://paypal.me/urgamanix . If instead you'd like to donate to our map maker BloodK1nG, his link is https://www.paypal.com/cgi-bin/websc...=L79TLBGDKXVBC . We don't have a donation link for our community admins yet but I've asked them to create one. Thanks! @Urgamanix It's been a long time. However ever since your last update of Nov. 2017, I am not seeing much activity on this. Also your domain of your site has expired, please renew. Last edited by Zocom7; 04-06-2018, 06:45 PM.